Since the other Directors have gone on hiatus (in hopes that some of our cadets would pick up the slack), we have not had many offerings. Did you notice? Last year’s Summer Solstice came and went. It has been way too long since we had a proper adventure. 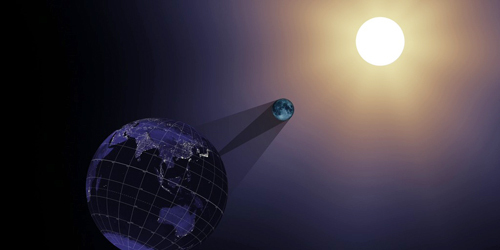 This map shows the path of the Total Solar Eclipse. The northern and southern path limits are blue and the central line is red. You must be between the blue lines to see the total phase. The eclipse is longest on the central line (red). Currently, round trip flights to SLC from LA are under $200. Unless we can come up with a great shuttle plan between SLC and Tetonia, rental cars will need to be acquired. Payment for lodging can be made in the form of cookies and/or yard tools. 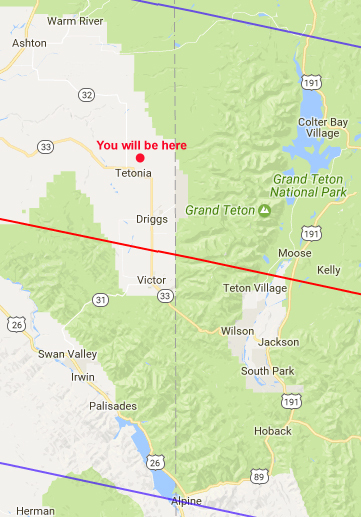 Please express interest in the 2017 Solar Eclipse Trip to the DOSO (me!). I’ll be booking my flights within the next couple of weeks. Sounds like fun, count me in! !